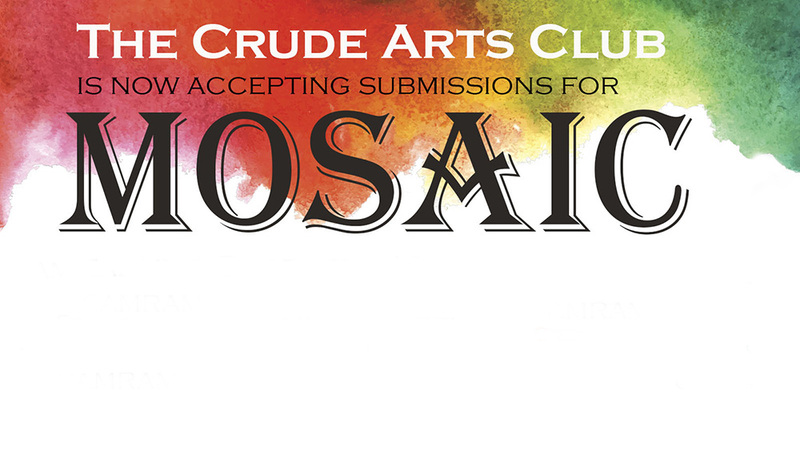 Kellogg Community College’s Crude Arts Club is accepting applications now for Mosaic, the student literary journal. Submissions of poetry, short fiction, creative nonfiction, artwork and comics will be accepted until Friday, Dec. 12, and should be emailed as attachments to English professor Matt Samra at samram@kellogg.edu. Those submitting must include their name, K-ID number and phone number in the email. Contact Samra via the email address above for more information.